Until July 2018 I was with two different families, caring for Yessine (4) and Jaron (3) twice a month, bottle feeding them, changing diapers, giving baths, putting them to bed. I would sometimes stay overnight and would do some light housekeeping too. In 2018 I was taking care of Mika (1.5) and Dima (7) about 3 times a month, playing with them, keeping them entertained, helping with bath and getting them ready for bed. Fitness (weight training), dancing, swimming, skiing. 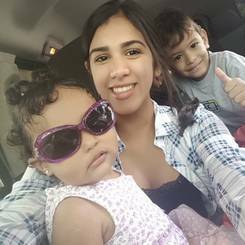 I would like to get an au pair exchange program because i like to spend time with kids.The time in USA will be a completely new experience for me. I love the mentality of American people. Besides Iâd like to improve my English and learn to speak fluently! I think that living in USA will be an awesome experience for me and that it will have big influence on my life and personality. I like to try new things, find out about different cultures, people and languages. Between 2017-2018 I took care of Nisra (4) I taught her social skills like facilitated their snack, arts and crafts and prepared healthy snacks for her and I also babysat her sister Mira (4 months) I dressed her and fed her. Between 2015-2016 I took care of Beril, I cooked for him, put him down to nap and changed him diapers. 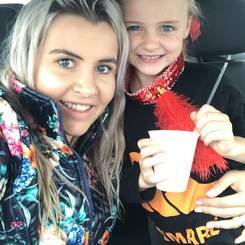 During an au pair stay you live in another country and have the chance to do lots of travelling there. You learn the language more or less automatically in everyday life, and if you want you can certainly take a language course, too. 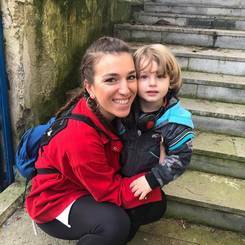 A great thing about being an au pair is that there are so many other au pairs and young adventurers whom you also get to meet. That means you're making friends with people from all around the world. I know swimming very well and I can teach easily. Moreover, I am good at drawing and also teaching and helping kids with special needs is easy for me. Between 2015-2017 I took care of Mimi (6) and Vincent (12), I put them down to nap, read them stories, prepared meals for them, bathed them and played with them. Since July 2017 I have been teaching dance, children 11-15 years old, I did choreography for them and prepared them for performance. Dancing, playing volleyball, playing soccer, watching movies and series, drawing, going to the gym. I am first aid certified. I want to get to know American Society and their traditions. I always was interested in the USA and also in being an au pair, so I prepared being one since ninth grade. I love children and they love me. They open up to me very quick, since I am very open minded and show them respect. I am very mature and reliable. Also, I am very creative, I like decorating and doing handicrafts. I like to help and care for people. I have a very strong character and mind, but I can be criticized as well. I am like a big sister to the children I worked with. I am very flexible and blend perfectly into a group of people since I am very communicative. I am a team player but can handle tasks as well on my own. I always wanted to spend more time with helping people and now I have the opportunity to do that. And thatâs why I should be an au pair at EurAupair. In 2018 I was taking care of Taliana (3mo) every week day for 8 hours. I would bottle feed her, bathe her, dress her, and look after her. In 2017 I was responsible for Ian (1) on Fridays and on the weekends, feeding him, changing his diapers, playing with him, etc. In 2016 I spent 6 months at a kindergarten with 3-6 year old children, every week day for 4 hours. We entertained the children with different activities (painting, coloring, dancing, singing, teaching games and sports). Dancing, going on walks, volleyball, soccer, swimming, and skating. 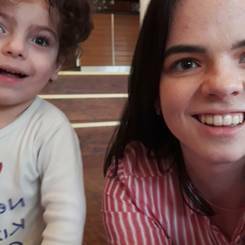 Being an au pair helps me to interact with the children since I have always felt a great affinity with them and I like to participate in different activities since they fill me with happiness and I love that they are part of my daily life. Besides this, traveling in this way and in these conditions is very interesting for me, so it is an opportunity to improve my English. 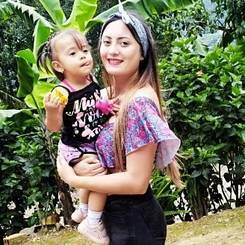 I have the necessary skills to be an excellent au pair, I like to live with children, I am open to change, I am very sociable, I love meeting new people and new cultures and learning from that. I am also a responsible person, dedicated and careful with what I do, I am a patient, persistent person, I like to teach, share with children their different tasks and activities always taking care of them. I watched Amy (2) from March to December 2017, two times per week at day care. Additionally, I watched Wilmary (10) from September 2017 to June 2018 there, and Joes (8) and Luis (10) from December 2016 to the present there. With Jose and Luis, I watched them 6 days a week on vacations and holidays. I worked as a teaching assistant form September 2016 to June 2017 5 days a week where I watched 44 children ages 12 to 13. Lastly, I watched 5 babies, infants to 2 years old, 5 days a week from November 2017 to May 2018 at a day care. Exercising, being outdoors, going to the beach, going to the movies, reading, playing volleyball, tennis, baseball, basketball, and football. 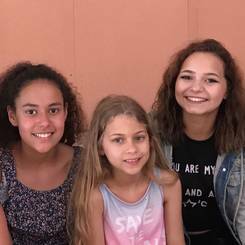 I want to become an au pair because it will be a new experience for my personal growth, It is the perfect way to know a different culture and to improve my English skills. I love children and learn from them and I'm very good relating to them as also I enjoy teaching. And because I'm an honest, responsible,patient, I'm kind, friendly and creative. Since March 2018, I have babysat Altay (3) and Kerem (3) once a week. This includes singing to them, playing games with them, changing their clothes, feeding them, and putting them to bed. I babysat Amelie (2) and Maximillian (4mths) from September 2017 to October 2018 twice a week. I did things like feed them, dance with them, take them for a walk, read books to them, and put them to sleep. 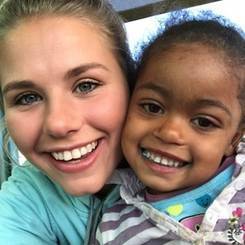 Finally, one week during the summer in 2016, 2017, and 2018, I worked with a group of children ages 5 to 11 years old at my church. Here, I would organize and manage the group activities, do crafts with them, and play games with them. Reading, meeting up with friends, dancing, going to the gym, walking my dog, and riding. My strongest qualitty applicable to becoming an au pair is my interest in children. I am responsible, kind, friendly, level-headed, and first aid certified. I can play the same game 100 times or hear the same radio song over and over. I follow rules very strictly and motivate the children to do the same. I am very happy to meet new people and to be apart of another family. I will definitely be a great part of your family and take a lot of responsibility. I also have expert knowledge in pedagogy and child psychology. In 2015 I have been taking care of Landu (11), Ruan (7), Illanka (8), Ankia (8), I prepared meals for them, helped them with their homework and planned activities for them. 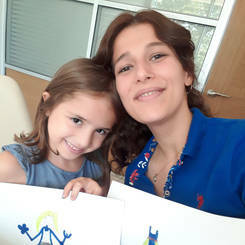 Since Juanuary 2019 I have been taking care of Maroze (6), Zean (10), I took children from school, helped them with their homework, took them to sports and play-dates and plan activities for them. Going to the gym, travelling, acting, playing netball, playing hockey, cheer-leading. I am first air certified. I'm a competent and responsible person who enjoys working with kids. Teaching, helping and guiding children to reach their full potential is a passion of mine. I really love being around children and I believe that they enjoy being around me. I have always been an enthusiastic traveler and it's been a life long dream to visit the United States of America. I can't wait to learn about American culture, become an active member of my host family, and form bonds with friends from all over the world.